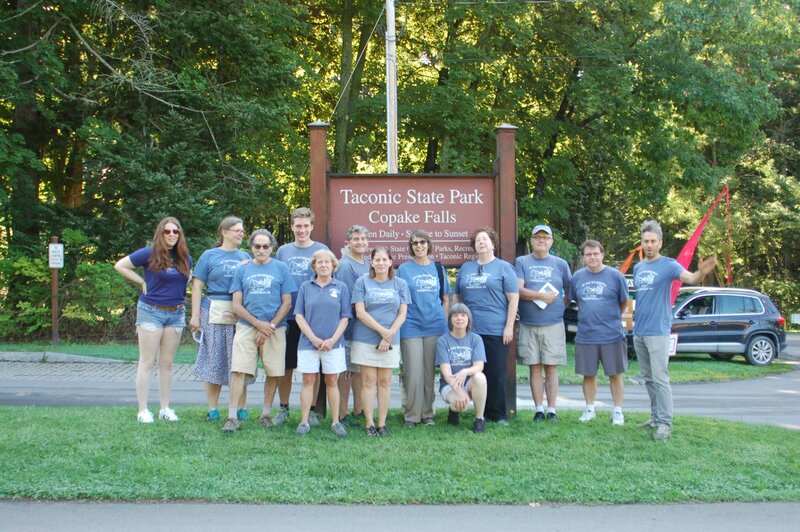 It's Winter Walk on Sunday, December 2! 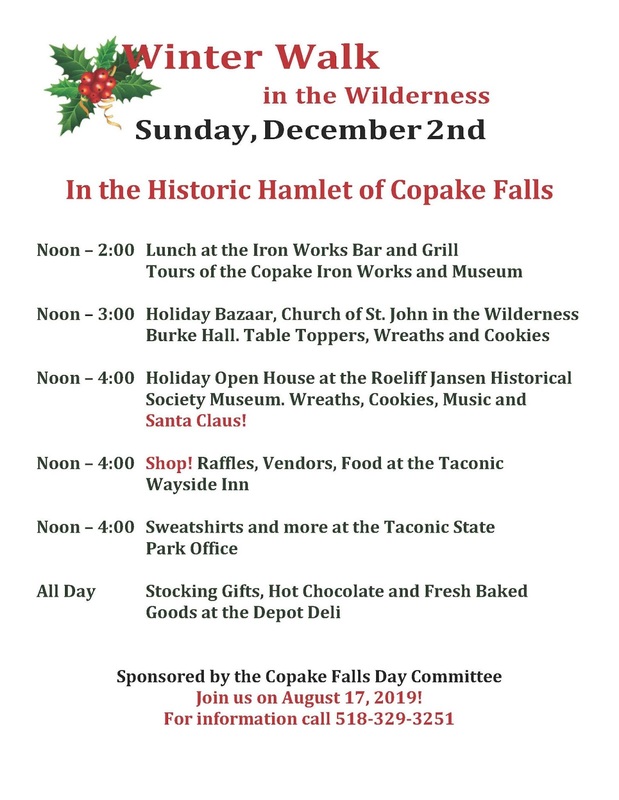 It's time for Winter Walk in the Wilderness in Historic Copake Falls! 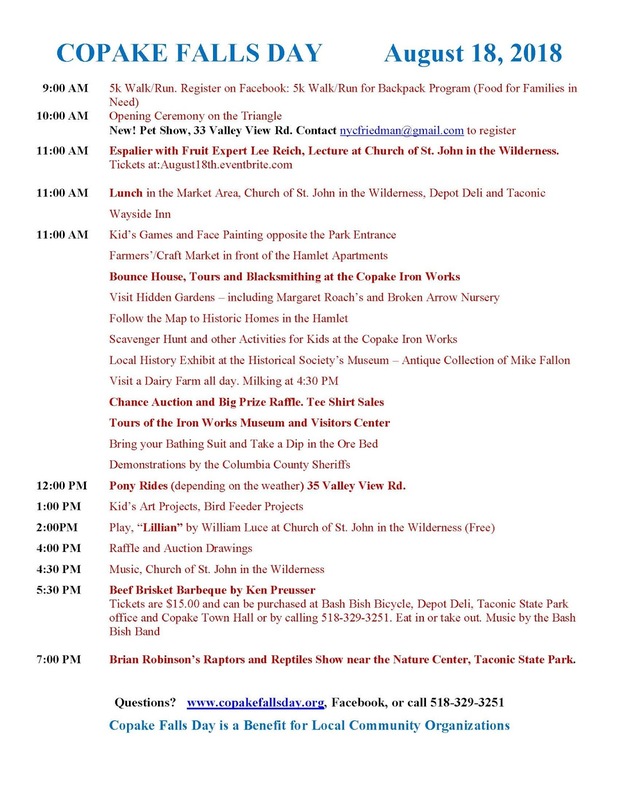 Schedule is preliminary . . . check back for updates! Espalier with Fruit Expert Lee Reich, Lecture at Church of St. John in the Wilderness. 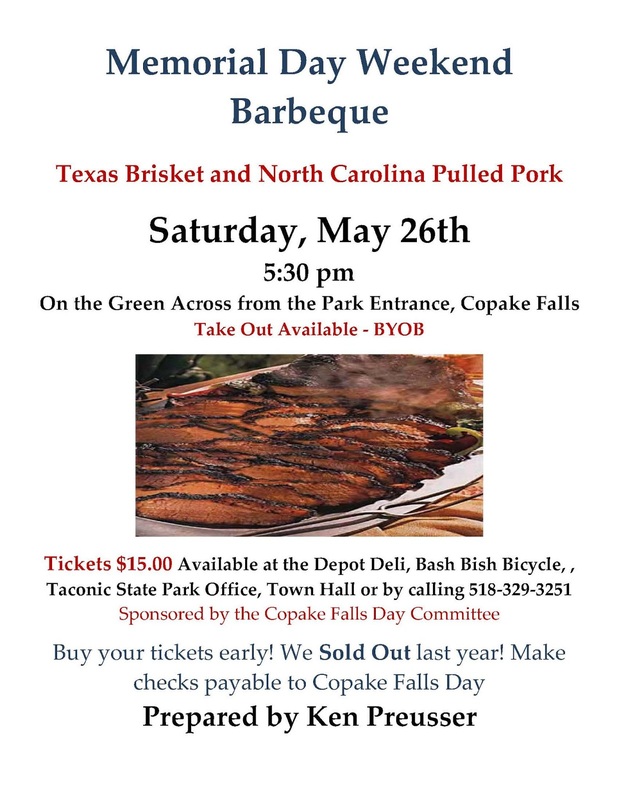 Tickets are $15 and can be purchased at Bash Bish Bicycle, Depot Deli, Taconic State Park office & Copake Town Hall. 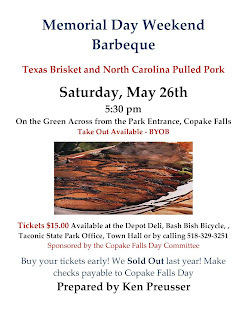 Music by the Bash Bish Band! 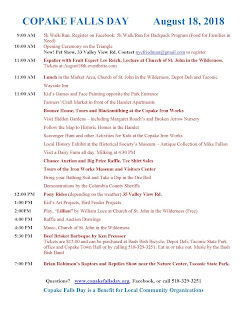 Brian Robinson’s Raptors and Reptiles Show near the Nature Center, Taconic State Park. Campfire Music with Zach Nayer on the green across from the Park Office. 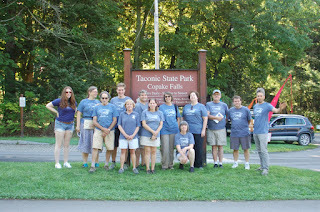 Visit copakefallsday.org or call 518.966.2233. Interested in being a vendor? Contact rbruce@taconic.net.